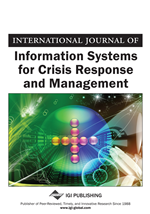 Most U.S. universities planned and prepared their disaster recovery (DR) and business continuity strategies for their Information Systems after the September 11th attack on the United States. The devastating hurricanes and the most recent catastrophic earthquakes caused unprecedented damage for many campuses within a decade. Some of their plans worked and some of them failed; however, with these lessons learned, Information Systems Management for U.S. higher education must be reexamined, re-planned and redesigned, including DR strategies and procedures. It is equally important that the curriculum of Management Information Systems be updated along with updated DR concerns for all educators in U.S. universities. Nine years after the terrorist attacks that brought down the twin towers of the World Trade Center (WTC) on September 11th in 2001, this tragic events was not only deeply remembered by all American people, but also was best learned as a most fundamental lesson for our entire country. Similarly, Hurricane Katrina and Rita devastated entire New Orleans city, ravaged the Southern United States, most Gulf Coast and a large area of Texas five years ago. In addition to several thousands of casualties suffered from both disasters, hundreds of business organizations were wiped out in just few hours. Business giants and tech industry found themselves so vulnerable and paralyzed easily with no offices, telephones, email, or computers. While 250 of a total of 450 WTC tenants declared business disaster, 150 went out of business (IAGS, 2004). Price-Waterhouse- Coopers estimated later that the overall WTC losses were approximately $40.2B. And the losses from business interrupted economic activity caused by Hurricane Katrina exceed $100M per day. This natural disaster is considered the costliest one ever - with the estimated total loss of 125B and insurance industry slice of the clean-up bill reaching as much as US$60B (Foster & Irusta, 2003).